With Colin Trevorrow stepping away to work on Star wars: Episode IX (but still having his stamp on proceedings after co-writing the script), The Monster Calls and the Impossible’s J.A. Bayona takes over directing duties on the highly anticipated Jurassic World 2, and with shooting currently on going, he has taken to Twitter to share with us the first image from the movie. While it may give absolutely nothing away, it’s hard to say it doesn’t make one hell of an impression. 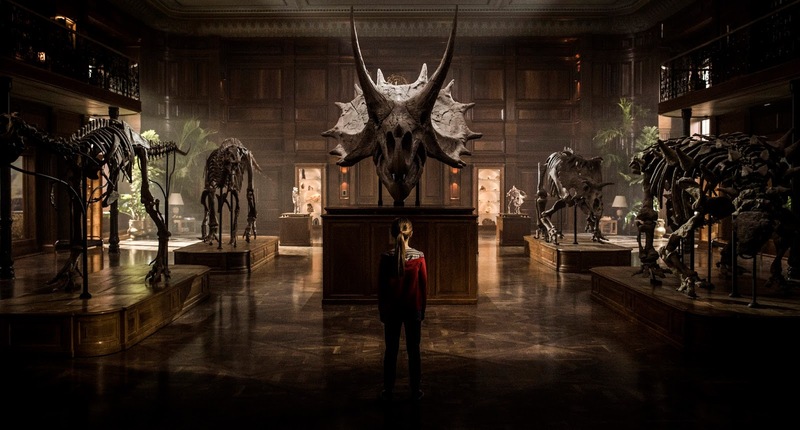 Deatails about Jurassic World 2 are very thin on the ground at this early stage, though Trevorrow has teased that it will be darker and scarier than the first installment, and consider Bayona’s first feature The Orphanage still haunts me to this day, the movie is certainly in good hands. Bryce Dallas Howard and Chris Pratt return to face against more menacing dinosaurs, with the rest of the cat being round out by B.D. Wong, James Cromwell, Toby Jones, Rafe Spall, Ted Levine, and Justice Smith. Jurassic World 2 is set for release June 22nd 2018.